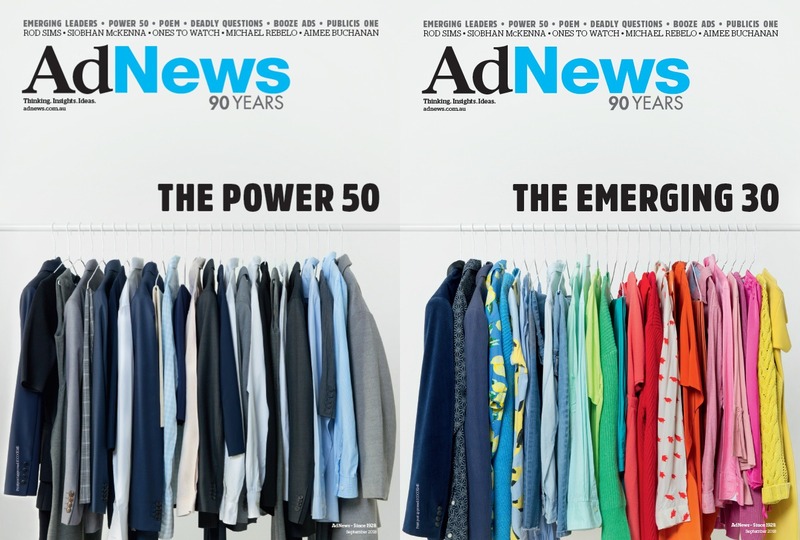 Have a comment on the new look AdNews? Email here. Did you miss last month's (below)? The October issue is here and features all the latest industry goings on, big features, people profiles, deep-dives on creative, social photos and more – but not from the usual landscape of Australia. 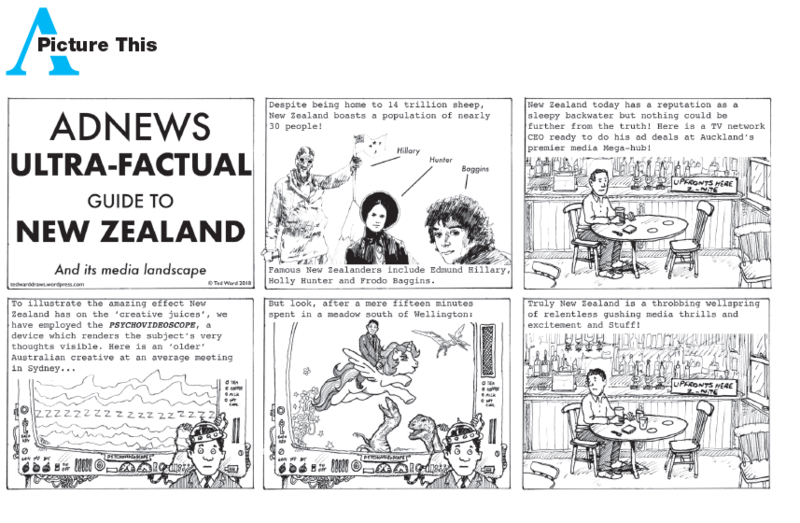 In this issue you’ll find all the wonderful regular AdNews features, only this time we’ve booted out the Aussies and swapped them for Kiwis instead. 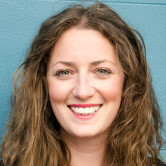 Meet the Team, Campaign Review, Spotlight and Spotted all feature fine minds and creative souls from across the ditch. 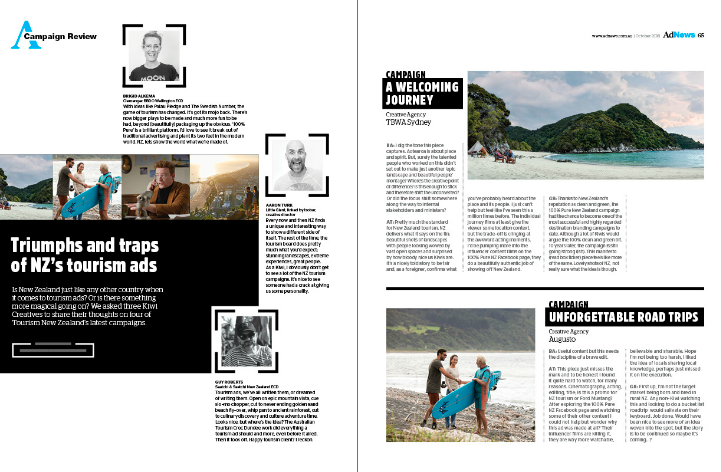 We also speak to marketers from some of the country’s top brands including Burger King, Air New Zealand, Whittaker’s, DB Breweries and Tourism New Zealand. On top of that we have dug around with some local media owners, media and creative agencies as we sought to get a feel for the market, people, culture, trends and challenges. 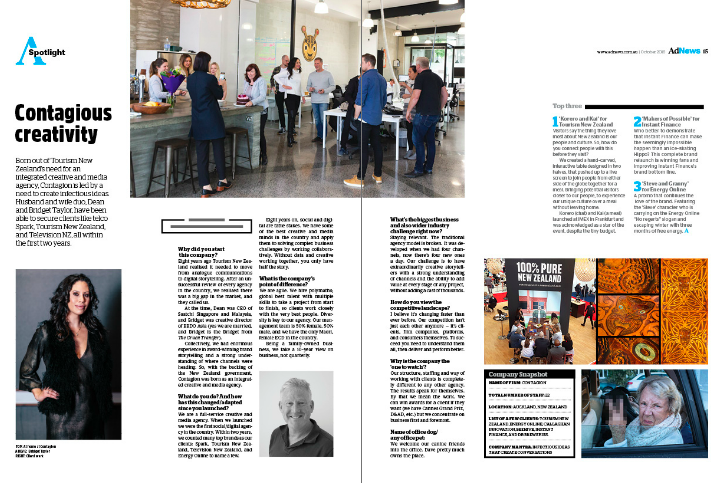 Our cover was created by one of the country’s leading creative agencies - Colenso BBDO in Auckland - and in Behind The Cover (on page six), you’ll hear all about getting to the final execution. 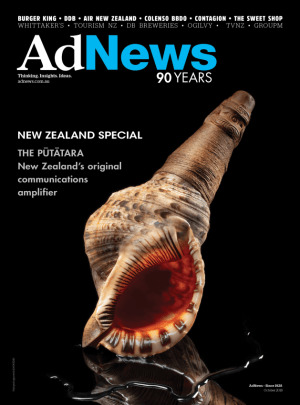 The striking image of the Pūtātara features on the front cover. While it may be unfamiliar to some in Australia, the method of communicating over long distances with the highly prized ‘shell trumpet’ was used by the Māori people of New Zealand. As the possession of chiefs, and often preserved as family heirlooms, the image nods to the heritage, culture, and creativity of the nation. It also serves as reminder of the simplicity in the formation of communication strategies, particularly in today’s world where it’s all too easy to get consumed with new, shiny, technology and data–driven approaches. We hand-pick each agency and the cover of the year will be voted for by readers at the end of 2018. 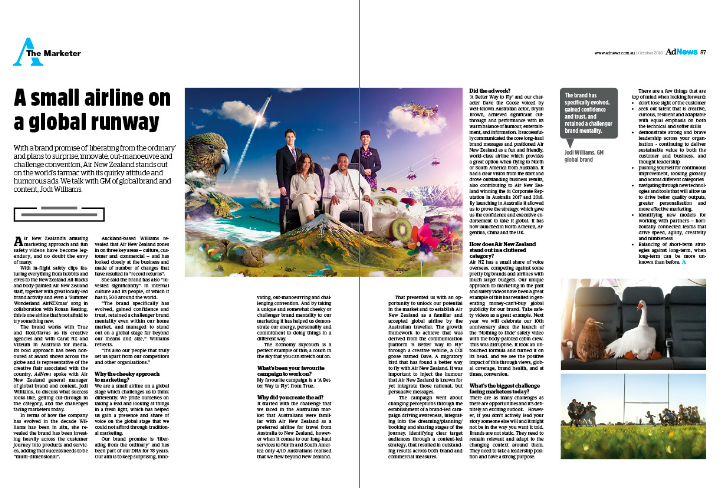 The Marketer: Air New Zealand GM of global brand and content explains how the airline stands out on the world’s tarmac with its quirky attitude and humorous ads. 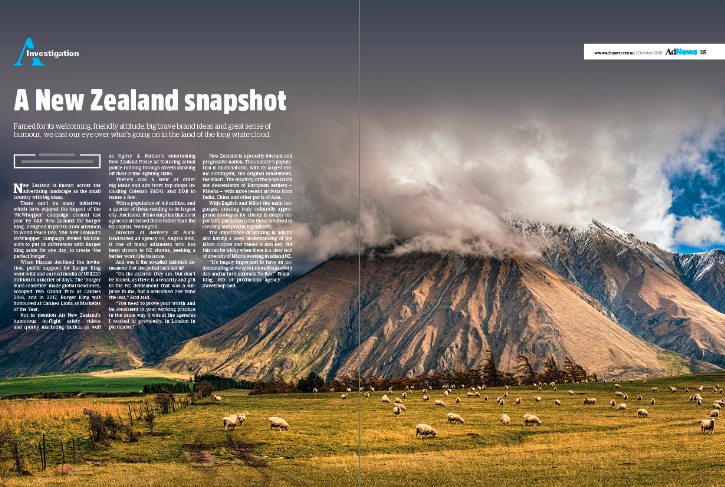 We also have interviews with top marketers from Whittaker's and Tourism NZ.